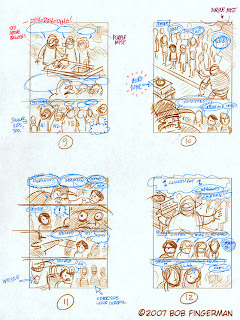 Here’s the first of what might be a series of posts featuring some of my prep work. 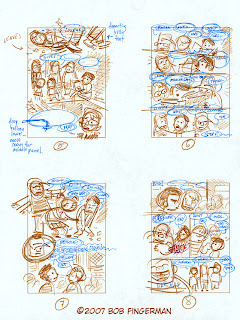 These are the first 20 pages of thumbnails for my graphic novel, Recess Pieces, which came out summer 2006. This was written by bob. Posted on Monday, October 1, 2007, at 4:21 pm. 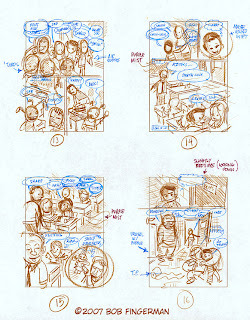 Filed under Comics, prelims, sketches, thumbnails, zombies. Bookmark the permalink. Follow comments here with the RSS feed. Both comments and trackbacks are currently closed. 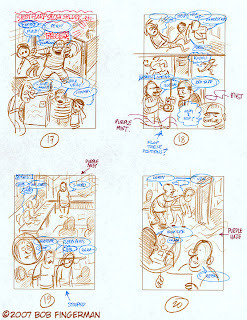 Your sketches show Kurtzman’s influence more than the finished art. 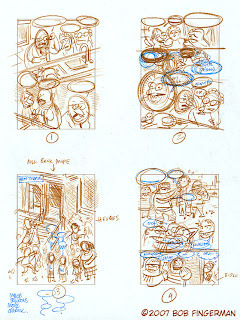 Some Kurtzman in the thumbnails, some Jack Davis in the finishes.